Israel had a stunning victory over its Soviet backed enemies during the 1967 Six Day war. However less than seven years later, the Israeli Defense Forces were nearly defeated after Syria and Egypt launched a surprise attack on Yom Kippur. Most analysts believe that the change was mainly the result of a massive inflow of Soviet military hardware into Egypt and Syria in the interim period. 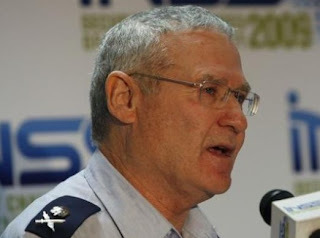 Israeli Military Intelligence Chief Amos Yadlin is now warning that the rate of Russian armaments moving into Syria and via it into Lebanon could be returning Israel to a period of heightened military vulnerability. He told an Israeli parliamentary committee the “balance of power may be shifting back to the 1970s” when the surprise Yom Kippur joint attack was launched. The tide of that war was only turned in Israel’s favor after American President Richard Nixon decided to send emergency aid to the beleaguered Jewish state. Yadlin said Syria is intensely pursuing advanced weapons systems mainly from Russia. He also noted that the Lebanese Shiite Hizbullah militia has become a stronger military force than the official Lebanese army.